About Us We have a team of 2 additional photographers & 2 cinematographers. We are based in Chandigarh but we’ve shot weddings in Delhi, Hyderabad, Mumbai, Goa, Kolkata, Jaipur, Udaipur and everywhere else because we love to travel! We specialize in Contemporary Wedding Photography & Cinematography where we strive to create timeless memories for you which are candid, emotional, offbeat and fun.
? ?MY TEAM We have a team of 2 additional photographers & 2 cinematographers. We are based in Chandigarh but we’ve shot weddings in Delhi, Hyderabad, Mumbai, Goa, Kolkata, Jaipur, Udaipur and everywhere else because we love to travel! We specialize in Contemporary Wedding Photography & Cinematography where we strive to create timeless memories for you which are candid, emotional, offbeat and fun. Our effort in such situations is to focus on the marriage taking place during the wedding-looking to capture precious moments as beautifully as I can; between the couple and around them, among the families, and in the numerous nuances that constitute the Indian wedding. Hoping to preserve the essence of those moments for future memories. NATURAL LIGHT PHOTOGRAPHY STUDIO TEAM We have a team of 2 additional photographers & 2 cinematographers. We are based in Chandigarh but we’ve shot weddings in Delhi, Hyderabad, Mumbai, Goa, Kolkata, Jaipur, Udaipur and everywhere else because we love to travel! We specialize in Contemporary Wedding Photography & Cinematography where we strive to create timeless memories for you which are candid, emotional, offbeat and fun. Our effort in such situations is to focus on the marriage taking place during the wedding-looking to capture precious moments as beautifully as I can; between the couple and around them, among the families, and in the numerous nuances that constitute the Indian wedding. Hoping to preserve the essence of those moments for future memories. We are a professional photography services company based in Chandigarh . We have been running a professional photography business for 10 years, specializing in Wedding, South Indian Wedding, North Indian Wedding, Marwadi Wedding, Reception, Engagement, Pre-wedding Shoots, Couple Portraits, Bridal Portraits, Indian Wedding, Christian Wedding, Muslim Wedding, Hindu Wedding, Candid Wedding and Destination Wedding photography.Modelling portfolio,fashion show,actor profiles We undertake customized photography requirements. Some of our products and services include Live Streaming, Photobook, Frames, Calendar, Documentary, Lamination, HD Videos, Brochure, Promo Videos, Montage, Shortfilms, HD Highlights, Enlargement, Poster, CD / DVD, Blueray Disc and Coffee Table Book. We provide services in Chandigarh. We are proficient in Urdu, Haryanvi, English, Punjabi and Hindi. We got married in January, 2018. Living overseas and trying to coordinate a wedding in Chandigarh is a very stressful affair. Natural light photography are true professionals and deliver what was promised. They went over and beyond to meet our needs. The crew members are extremely friendly and made us feel super relaxed on the day. The photos and videos are of a high quality and a reflection of excellent workmanship. I highly recommend picking Natural light photography and his amazing team for your special day!!! NATURAL LIGHT PHOTOGRAPHY has such an amazing talent for capturing ‘moments’ which is exactly what you want on your wedding day. It’s not the formal photos that remind you how great your day was – it’s the natural fun and excitement that is so important to be documented. his team ability not to miss a moment is incredible, and his energy and passion comes across in the photos. He is able to blend in so well that your guests and literally will not realise they’re being photographed. We can easily call something good or bad, but we don't get satisfied with only good. We need perfect services in our life. NATURAL LIGHT PHOTOGRAPHY is a place where I have always been satisfied since they always delivered their services beyond my expectations. I always vouch for them whenever I need a professional photographer for any mega event like marriage, pre wedding or a Commercial photo shoot for that matter. NATURAL LIGHT PHOTOGRAPHY is the most preferred choice as no one else does justice to your lifetime moments like they do. Their pictures speak a story and you feel like living in that moment. I have seen them progress over the years and wishing them the best for all the coming times. 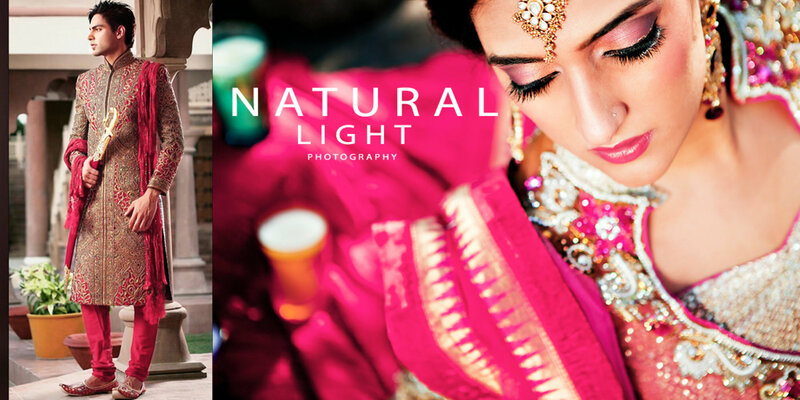 Thank you to The NATURAL LIGHT PHOTOGRAPHY for a fantastic wedding photography experience in New Delhi. You have captured such beautiful, special memories that will last us a lifetime! My fiance and I found your Photography service on canvera and the photos on your website together with the great reviews and fast email responses meant we had to book you straight away! From start to finish, the customer service and team were very professional and put our minds at ease, especially as we flew out from the USA to New Delhi for the shoot. The quick location changes and creativity on the day were awesome and we received high quality photos and videos that we are so pleased with! We would happily recommend you to any bride and groom from the USA and around the world! Refreshing and Great Ideas!! Had a wonderful experience with Natural light photography and team. All the moments were captured beautifully! Improvisations with the available location was done perfectly. He takes effort & has a unique outlook in each of his clicks. Me and my family also loved the fact that he captured all the aspects and everyone present at the venue. Will surely recommend his work to my family & close friends! NAV and Team. We are so happy and proud that we hired you guys. Everytime I look back at my wedding pictures, I feel like I'm living the moment again. Thanks for all your hard work and dedication. It's so grateful to see a team well dressed, disciplined and punctual. We wish you and team all the best for your future and a great success. Keep rocking team NATURAL LIGHT PHOTOGRAPHY. He is a stellar photographer. The pictures we have received as output our fabulous. Thanks for making my Marriage pictures look memorable. I would prefer you each time I need a photographer. We had so much fun getting our Family Wedding pictures taken by Natural Light Photography . They are professional, creative, talented, very reasonable, and so easy to work with team Natural light photography . The pictures were sent to us almost immediately after the photo shoot. They all turned out beautifully! Each picture perfectly captured the emotion of the day! You will absolutely love your experience with them! I can't wait to use Natural Light Photography again! BEST around! Your message was successfully sent to Natural Light Photography. The Photographer may contact you soon.